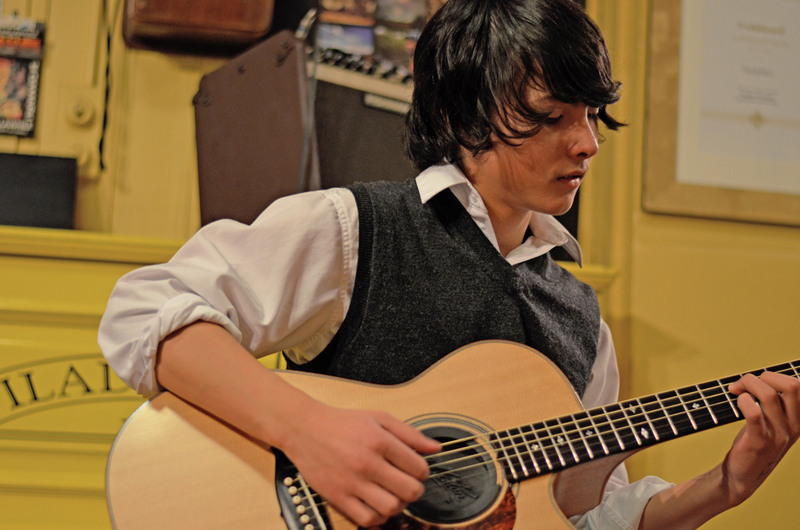 Joseph Balfe is a self-taught 15yr old fingerstyle guitarist from Oamaru NZ, inspired by the likes of Tommy Emmanuel, Michael Fix & Adam Rafferty. Early on Joseph showed exceptional natural talent and a desire to become the best he can be. Initially his parents looked for a guitar teacher to harness some of this talent but felt he was progressing so well on his own that they just let him go with the flow.. This also gave him the freedom to learn whatever he liked, be it country, jazz, soul or pop. While searching the net for somewhere to get some stage time they discovered an Open Mic was happening that night at the New Edinburgh Folk Club in Dunedin, so off they went not knowing if they’d really let a 13yr old boy loose on stage. Thankfully they did, and after many Oooh’s & Ahhh’s Joseph was made very welcome! He was asked to play at the Whare Flat Folk Festival a few months later, and was the Youth Guest the following year (’14), playing to a very supportive crowd. Country music awards have also been a great outlet for him, giving some valuable experience performing. In the past 12 months Joseph has won numerous Intermediate titles, including Overall at the Central Coast CMA, Instrumental at the Whitestone awards, Instrumental & Overall at the Southern Alps awards, and most recently Instrumental & Runner-up Overall at the NZ Gold Guitar Awards. An exceptional musician with a bright future ahead.